PHOENIX, ARIZ. (Nov. 13, 2018) – Tower Capital, an independent structured finance firm, is projected to reach $200 million in loan volume by the end of 2018. Last month alone, the team originated and closed $44,886,000 in loans across six properties, making October Tower Capital’s second-best month in 2018. With a broad range of combined experience, the professionals at Tower Capital have participated in almost every area of the commercial real estate industry including real estate brokerage, mortgage banking, securities, private lending, and development – across all real estate asset classes. The largest Tower Capital closing last month, Elux at Tramonto, was a $23,000,000 loan that closed in just 15 short business days at a very competitive rate and 94 percent loan to cost. The 138-unit, Class-A multifamily community located in Phoenix, features a mix of one, two and three-bedroom units, with three different floor plans, including a clubhouse with a fitness center. Elux at Tramonto is at the forefront of new and rapidly growing asset class referred to as single family build for rent. “We had several mortgage bankers to choose from including one of our current bankers, however we chose Tower Capital because they performed on all aspects of execution and delivery, finding the right lender that fit our needs with the largest return of capital in less than three weeks,” said Scott Curtis, Managing Member at Snowdon Tramonto. Hilton Home 2 Suites – $7,200,000 Equity Financing. A 106-key hotel development located in an opportunity zone adjacent to the Longbow Golf Course in Mesa. Suncrest REALOP – $5,000,000 Equity Financing. Tower Capital was successful in introducing its client, Suncrest REALOP, to an institutional private equity group that resulted in a new equity relationship. Suncrest is a residential master developer and investment manager. Katerra Distribution Hub – $4,500,000 Senior Loan. The 26.90-acre subject property, located in Glendale, serves as a materials hub and light manufacturing facility for a technology-driven, offsite construction company, based in Menlo Park, California. 526 Mill Ave. – $3,000,000 Senior Loan. A 9,874 square foot, two-story, historic multi-tenant building originally constructed in 1912, located in Tempe. Harris Place Apartments – $2,186,000 Senior Loan. 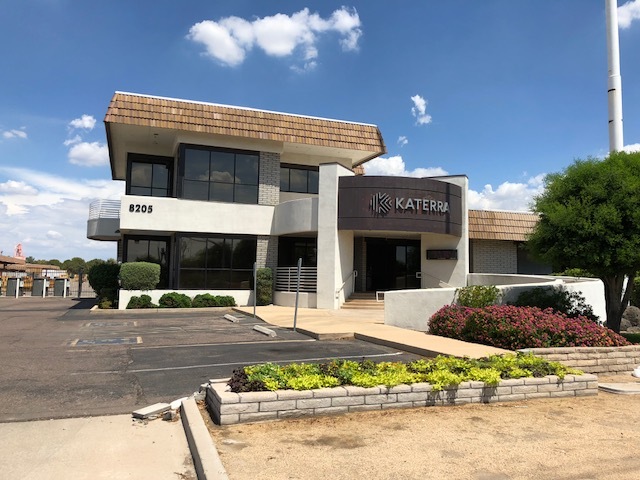 A 48-unit C-Class multifamily property located in Mesa. We are aiming to reach 200 million in loan volume by the end of 2018 and are proud of our consistent growth this past year,” said Adam Finkel, Principal at Tower Capital. “Our goal for 2019 is to grow our market share, seek ways to improve, work more effectively and support our team so that we are able to surpass our 2018 performance next year,” said Kyle McDonough, Principal at Tower Capital. Tower Capital was recently recognized by National Real Estate Investor as a ‘Top Financial Intermediary’ for total dollar volume of commercial real estate loans arranged.